Luxury Living is celebrating the 30th Anniversary of FENDI Casa with a special window installation from October 22nd to November 5th. 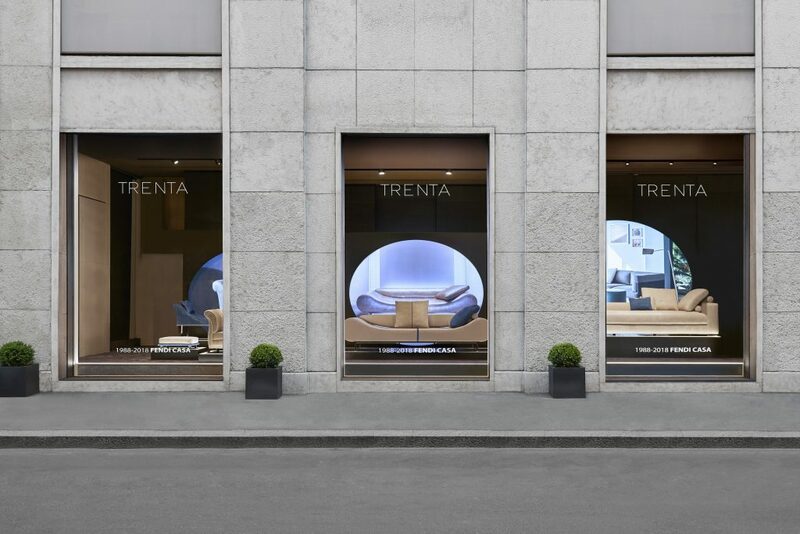 Luxury Living Group honors the 30th Anniversary of FENDI Casa by paying homage with the reproduction of three iconic products, each embodying one decade of the FENDI Casa heritage by reinterpreting them into new pieces. 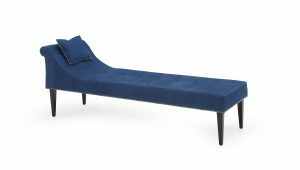 Luxury Living Los Angeles will feature the three iconic pieces: the Cosima dormouse, Eros sofa and One Sofa from October 22nd through November 5th. The first re-edited piece is the Cosima dormouse (1994), a living proposal of timeless elegance, characterized by soft volumes and deep-buttoned leather upholstery. Expression of a sophisticated style, it is reproduced with a seat upholstered in blue nabuck leather combined with the Claudio armchair and the Ripetta pouf. 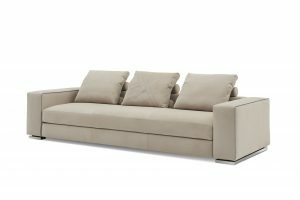 The innovative essence of the FENDI Casa design is embodied by the Eros sofa (2004), which immediately became an icon of style for its versatility and balanced design, enhanced by its minimal line of the metal base. Initially presented with crocodile-effect leather upholstery in a delicate powdery shade, today it has been proposed with beige leather upholstery and contrasting blue details. 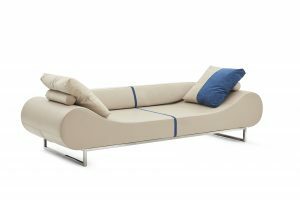 Finally, the new One sofa, a synthesis of stylistic rigor and contemporary composure and emblem of the impeccable FENDI Casa production of 2018. Visit Luxury Living Los Angeles to see these iconic styles.